“BEAUTY”FULLY BOXED | Black, Latina and Fabulous! 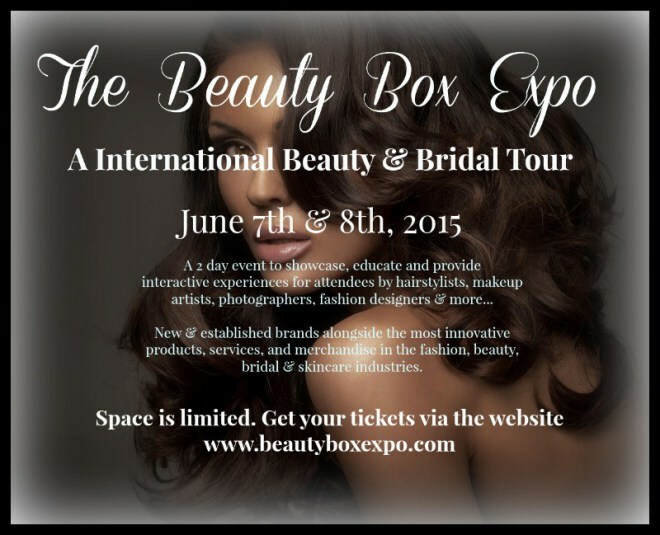 NEW YORK CITY— Native Elianor, the highly successful New York-based hair and make-up industry professional and CEO of GlamMuaHds, announced the launch of her newest venture, The Beauty Box Expo, International. A series of beauty and bridal centric events, the Beauty Box Expos (BBE) are one day events designed to showcase and educate attendees through interactive experiences featuring new and established brands alongside the most innovative products and services in the wedding, hair, cosmetics and skincare industries. The series kicks off with its inaugural events in New York City on June 7th and 8th at Shadow Boxers, located at 215 West 40th Street in midtown Manhattan. Thanks for reposting! Appreciate your support.